Met fans can rejoice as “La Potencia”, Yoenis Cespedes is now back in Queens and locked up long term. The Mets had to give Cespedes the 2nd highest average annual value ever, but the team locked up their best hitter. 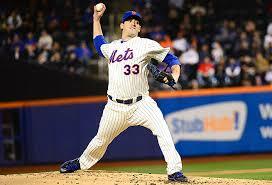 After years and years of payrolls under $90M, the Mets being broke is a thing of the past. 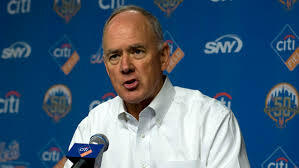 Ownership wants to win and they are giving Sandy Alderson the resources to get it done. While the Mets are back to spending big money, they are still being cautious about it. The Mets in the past when they spent big money always seemed to agree to deals one year too long on key contracts such as Pedro Martinez and Billy Wagner. The Mets stood their ground this time on not giving the 31-year old Cespedes a 5th year and they look very smart today for doing so. With all that said, the work is not done here just yet. The team now has 4 corner outfielders and no starting center fielder. Based on various reports it seems fairly obvious the Mets plan on trading a corner outfielder with Jay Bruce being the most likely to go. 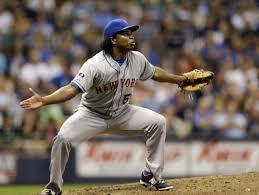 The Mets shouldn’t stop with Bruce, they should trade Curtis Granderson also and get a center fielder. 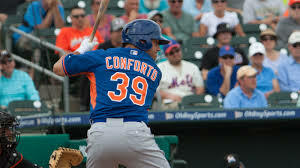 The Mets have never prioritized defense but if they could put Cespedes in left and Michael Conforto in right, planked by a defensive, right-handed, center fielder, the Mets could have one of the best outfields in baseball. Here are a few of their options. Of the hitters listed here, Dexter Fowler is perhaps the best fit for the Mets. While he will cost a draft pick, Fowler, 30, could be a difference maker for the Amazins. The switch-hitter has been significantly better from the right side of the plate throughout his career which works in this very left-handed Met lineup. Fowler really improved his defensive numbers in center field this year thanks to playing deeper. The questions that would pop up if Fowler can handle center anymore are gone. Fowler is likely looking at a 4 year deal worth around $60M which is what the Mets handed Curtis Granderson 3 winters ago. Fowler was on perhaps the biggest stage in sports when he homered to lead off Game 7 of the World Series to help end a 108-year title drought for the Chicago Cubs so no, New York will not be too much for the Atlanta native to handle. A.J. Pollock is a gifted, 5-tool center fielder who possesses a blend of power, speed and strong range in center field. He is the right-handed bat that would complete the Mets lineup and would make New York a strong threat to the Cubs to get back to the World Series. Pollock will be 29 next week and has 2 years left of club control before becoming a free agent as a key part of the 2018 monster free agency class. After a breakout 2015 season where he slashed .315/.367/.498, Pollock missed 150 games in 2016 following a serious elbow injury. After all the time he missed in 2016 and the Diamondbacks rough season, it’s hard to imagine the Notre Dame product isn’t available. The team already dealt Jean Segura on Thanksgiving, Segura also had 2 years of control left like Pollock. The Diamondbacks look to be rebuilding with a new front office after a disastrous stint with Dave Stewart and Tony La Russa running the ship. Pollock will make $6.75M this season before going through arbitration in his final year of club control next winter. Despite his low monetary price tag, he will not be cheap under any circumstance in terms of prospects. The Mets should be willing to give up anyone in their farm system not named Amed Rosario to acquire Pollock if he is indeed available. The Mets have had interest in Ian Desmond in the past. The Nationals dangled him out on the trade market before his final year in Washington but the asking price (Noah Syndergaard) was obviously a non-starter for New York. (Imagine the Nationals with Syndergaard right now) Desmond transitioned to the outfield beautifully in 2016 after a few rough seasons defensively as a shortstop. While he was much better in left field for the Texas Rangers this past season, he showed he could handle center field. Last winter he got frozen out of the market with a compensation draft pick attached to his price tag. I’d be a little concerned about giving Ian Desmond a long-term deal at this stage of his career but he is a big right-handed bat that has shown in the past he can hit the ball a long, long way at Citi Field. Desmond, 31, has a draft pick attached to him again and if he gets frozen out of the market again this winter the Mets should pounce. It looks like right now the Mets plan is to trade Jay Bruce for anything they can get and try to get by with Curtis Granderson in center field in 2017. While Granderson wasn’t horrible in limited playing time in center field this past season, he certainly doesn’t give the range the Mets are going to need out there and is now another year older. 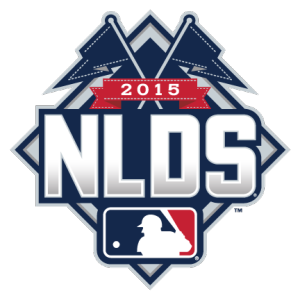 The Mets are trying to win now and to do that they are going to have to sure up this defense. Even with Cespedes’ return this is still a significantly below average offense, remember the Mets last year were tied for 25th in baseball in runs last year despite Cespedes’ fantastic campaign. 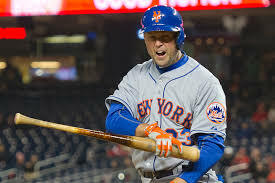 The Mets are going to need another bat here and they can get the payroll for one by trading both Granderson and Bruce. 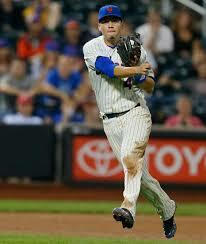 What should the Mets outfield look like next season?